Late-night T riders at Park Street Station. MBTA officials hope to eventually offer services that would mitigate the cancellation of late-night trains and buses on weekends, now that federal officials have rebuked the transit system for making the cuts without completing a civil rights analysis begun last year. 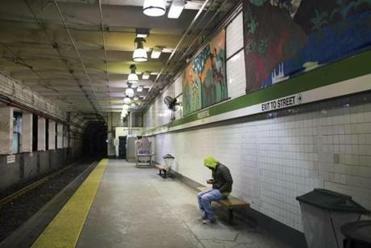 The Massachusetts Bay Transportation Authority had asked the Federal Transit Administration for a waiver for the federally required analysis, which would have shown how cutting late-night service would hurt minority and low-income riders. But federal officials rejected that waiver earlier this month with a strongly worded letter that said the T needed to revisit the decision. The MBTA still looks poised to end its late-night pilot program on Saturday morning, when the last subway and bus rides depart from downtown stations at about 2 a.m.
After that, the T will return to its regular closing time of about 12:30 a.m.
On Wednesday, the MBTA presented the civil rights report it was forced to complete, which officials said showed “mixed results” about how cutting the service would hurt some of the most vulnerable riders. Proponents of the extended service said it helps students and workers with late hours. At least one version said that eliminating the extended hours would hurt both minority and low-income riders more than other riders. “Because we have mixed results from our equity analysis, staff is moving to consider and provide for mitigation,” John Englander, general counsel for the state Department of Transportation and the MBTA, told the board on Wednesday. Joseph Aiello, the board’s chairman, defended the decision to cut back service, saying the extended-hours program “struck out” on at least two grounds: It was too expensive per rider, and it hurt the T’s maintenance schedule, he said. When the MBTA last year studied whether cutting late-night service would disproportionately affect minority and low-income riders, at least one interpretation was that both groups would suffer “disparate” and “disproportionate” effects, compared to the ridership as a whole, according to Wednesday’s presentation. According to 2015 data collected by the T, 54 percent of late-night bus riders are minorities, and 64 percent are low-income. On the subway, about 47 percent are minorities and 59 percent are low-income. The MBTA did not initially release that analysis to the public because officials said they were worried that their overall ridership data, gathered in 2008 and 2009, were out of date. After federal officials forced the T to complete its analysis, more current data were included. Under the newer analysis, officials concluded that low-income and minority riders did not suffer “disparate” or “disproportionate” effects as a result of late-night service cuts. On Wednesday, the control board voted to accept the analysis but continue looking for ways to mitigate the effects. Its members also said that any additional service should be at limited cost, involve only buses, and focus on mitigating the loss of work trips for low-income riders. 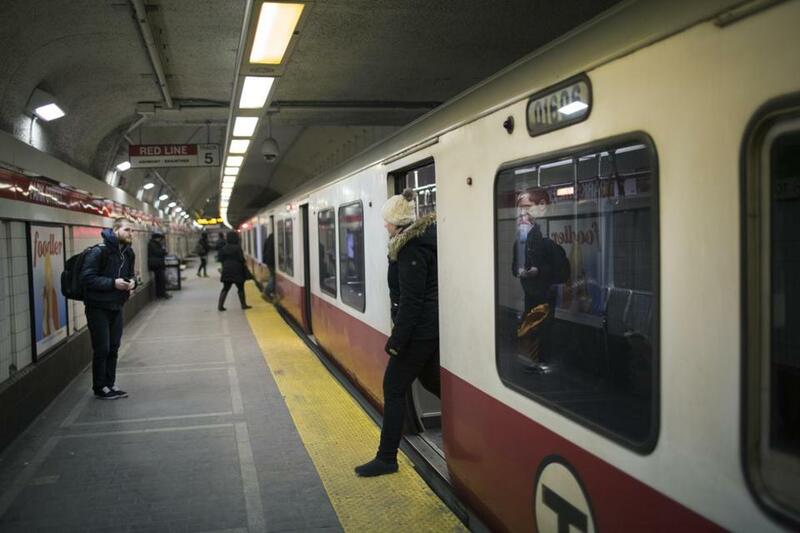 Officials said the T could also partner with private companies to help such riders. The MBTA suggested several goals, such as reducing early morning crowding, improving service quality, and increasing weekend frequency on certain bus routes. In the presentation to the board, officials mentioned adding weekday trips between 5 and 7 a.m. on the Route 116 and Route 117 bus routes through East Boston, Chelsea, and Revere. They also mentioned adding rides to the Route 66 bus line from Dudley Station to Harvard and the 111 line from Haymarket to Revere. MBTA officials said they would accept public comments on the best way to make up for the loss of late-night service. Also on Wednesday, the control board voted to approve a preliminary figure of about $2.02 million for its operating budget for the 2017 fiscal year. Earlier this week, officials released information that showed the MBTA would have a smaller budget deficit than expected, about $80.3 million for fiscal year 2017. Officials said that’s 67 percent lower than the T’s original projection of a $242 million gap and is a result of increased revenue from upcoming fare hikes, more advertising in vehicles and stations, and cost cuts, including for employee overtime and late-night service. The state Department of Transportation’s board also unveiled Wednesday its preliminary proposal for a five-year, $14.3 billion plan for big-ticket construction projects and vehicle upgrades. The T’s control board will take a closer look at the plan in coming months, but state officials said the plan currently includes the Green Line extension into Medford and Somerville. Control board members are scheduled to vote on whether to go forward with that project this spring.